I was attending a special winter holiday course at my cram school. My marks had fallen in the most recent exam so I had to get it together! A student’s main concern was studying, so naturally Christmas wasn’t a priority. Christmas had nothing to do with students. With that in mind I strode into cram school only to be invited by Umewaka-kun and the others to a 1000 yen random present exchange. This kind of thing really brought back memories. In my old life my friends and I had gathered together to do a 500 yen random present exchange. It was extra hard getting presents without knowing who would get it. If I knew that then I could at least try to get something they’d like. It was even worse this time because we had both sexes in the pool. If it was all girls then I could get some cute lip gloss or a nail set, but I didn’t think the boys would appreciate that. After agonising over it for a while, in the end I decided on a famous onsen bath salt set. It wasn’t something you’d have to keep around after using, and if you didn’t like it then your family could. I wondered if this was the right choice. It was better than some cute bath bombs at least, since the scent of those might be too sweet for a boy. During our lunch break on Christmas Eve, we had lunch together in the classroom before singing some songs and exchanging presents. It was a little embarrassing because there were other people in the classroom, but it was best to be festive for these things, wasn’t it! I wondered who would get my present. We sang Rudolph the Red-Nosed Reindeer as we passed the presents along in a circle. When the song was done I ended up with a green-ribboned present, just about large enough to fit in both hands. I wonder whose this was. 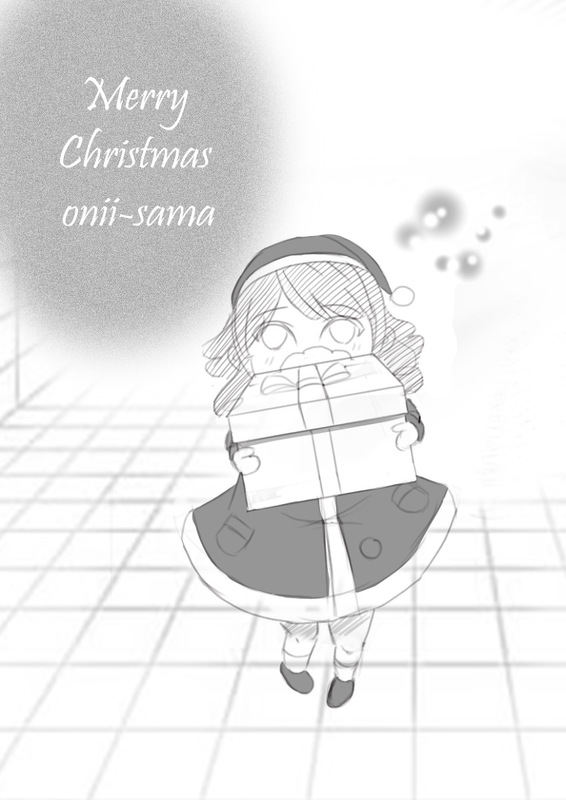 My present ended up in Sasaki-san’s hands. Ahh, had I known it’d end up with a girl I would have just gone for the bath bombs! How was she going to react! “It was mine,” I raised my hand to looks of surprise. I see. So they weren’t expecting a young lady of Zui’ran to have chosen something so plebeian. Sorry. I messed up. After that I opened up the present I got myself. Inside was a single heart-shaped plant of some sort in a little pot…? “The hoya kerii,” I read, and began looking at the attached instructions for raising it. Bad with the cold, less water needed in winter… Huh, and you didn’t need to water it every day. Maybe it would be easy to keep it. 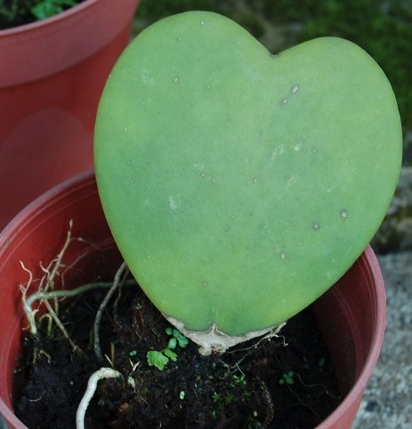 A plant shaped like a heart though. Guy or not, I had to admit it was a pretty stylish choice. Everyone else excitedly opened their own presents too. Still, the Christmas mood was great! I handed out the sweets I had left over from the Petit salon, and we had that instead of Christmas cake. Yummy. When I got home my parents were about to head out for a party. Naturally they invited me, but I declined. Have fun. When I got back to my room I put in ‘The Nightmare Before Christmas’. I ended up watching it while I had dried squid from the convenience store, with soy sauce and mayonnaise. I gulped down some green tea. Oniichan was going to be out late with work and then the party, but that was fine. I was fine just watching DVDs all by my lonesome and then falling asleep. I wasn’t quite sure what I wanted to watch after this one yet. Wakaba-chan was probably quite busy at her family store right now. Sakura-chan was going to be ringing bells at the church before heading to a party at Akizawa-kun’s place as I recalled. And Aoi-chan was… on a date? Maybe I’d email her. Ah wait, no, then she’d realise that I had nothing better to do right now. Umewaka-kun sent me a photo of Beatrice in a red nose and antlers. I was expecting a photo like this, but I had expected a Santa costume instead. But with those antlers on, considering the Cerberus incident Kaburagi would probably call her a baphomet or something. ‘I had Christmas cake with A-tan! He got me a flower collar as a present. Late at night I sensed a presence and shot to my feet. There was a suspicious figure in the dark! I leapt onto my bed so that I wouldn’t be possessed. Why!? I thought ghosts were meant to appear on Halloween, not Christmas! I turned on my bed lamp. In its dim lighting stood a tanuki. My heart almost goddamn stopped you know! You stupid tanuki! I’m all dizzy from standing up too fast now! I looked around and found something left by my bedside. A present whose wrapping paper was a little ruffled. I must have stepped on it in the confusion. Still trying to play Santa at this age, huh. You’re wasting your life on dreams, Tanuki. Otousama left my room dejectedly. I heard Okaasama talking to him from just outside. Okaasama, if you’re going to dissuade him then do it properly please. When I woke up the next morning I opened Santa Tanuki’s present. It turned out to be a ladies watch with diamonds that tumbled above the dial. When I arrived at breakfast two Christmas cakes from Otousama and Oniisama sat there, staring at me. Just who was supposed to eat these. I received a message from Sakura-chan. For Christmas, Akizawa-kun had given her a ring. I gave a prayer to my love-heart plant as I watered it. I think I should upload some of my photos from my holiday in Japan sometime. And ha… the events or happenings related to love just reminds me that I am really not suited to relationships ~_~. Well, and just what happened to Akizawa-kun?! lol. hey! not like that, lol. Well, I do get what you meant xD! it’s the video I’m saying, lol. I kinda knew of it… xD! Why didn’t she just go with her parents? How’s she going to explain herself to her friends? Reika is sulking it seems. Reika treating Bea-tan as a separate person to Umewaka is always funny. Mn, but it’s a just a ring for fashion. But onii-chan, it’s still a ring you know. For fashion or not, a boy giving a girl some ring would cause extreme jealousy to other girls especially those who are a village chief of some forever alone village. BTW, how’s your trip in Japan. My trip was excellent if you ignore a few snags that cost me a lot of money. I think I’ll post pics somewhere, eventually. Maybe just on Discord. You know not all of your STALKERS got fancy discord just saying. Few snags that cost me a lot of money = Akiba. Haha, no, I dropped my JR Pass somewhere in Shibuya and then had to catch two Shinkansen without it. Yeah that happens with travel sometimes.. but if you enjoyed the trip that’s great!! What were some of the high lights? Most of the trip was a highlight so it’s hard to really pinpoint what parts I liked best. If she goes with her parents there’s a high chance that it’s a trap to set her up with kaburagi. Thanks for the chapter. Who was the first non-relative she thought of? Why yes, it was Wakaba. Long live the Reikaba ship. And yeeees please share some pics of your holiday in Japan. Well the movie definitely places Reika somewhere in the 90’s. DVDs are more like early 2000s though. I didn’t think of that. Wikipedia places the earliest DVD release at Dec 2, 1997. So early 2000’s sounds about right. Hey, my family watches that movie every year around Christmas and Halloween. NNNNNGGGGGGGHHHHHH! Why do you do this to me! That’s too cute!! if you’re going to pray, at least change it to ‘what the heaven’ reika-sama! I know how Reika feels for her father, but I can’t help but hope that she’ll treat tanuki-san better. Being a father is hard. I felt bad for otou-san. Welcome back, translator! I’ve been eagerly anticipating your return. It far surpasses my impatience for all those birthdays, summer vacations and other holiday seasons. Found this LN recently and it’s an absolute delight. Glad that you’re enjoying it thus far! Reika a cute! And Sakura-chan got a RING!!! Way to step your game up, Akizawa! Looks like Sakura’s plan is bearing fruit. Thanks so much for this release! Fits the season perfectly XD Maybe too well for some of us who’ll have a Christmas in solitude T-T But happy holidays! 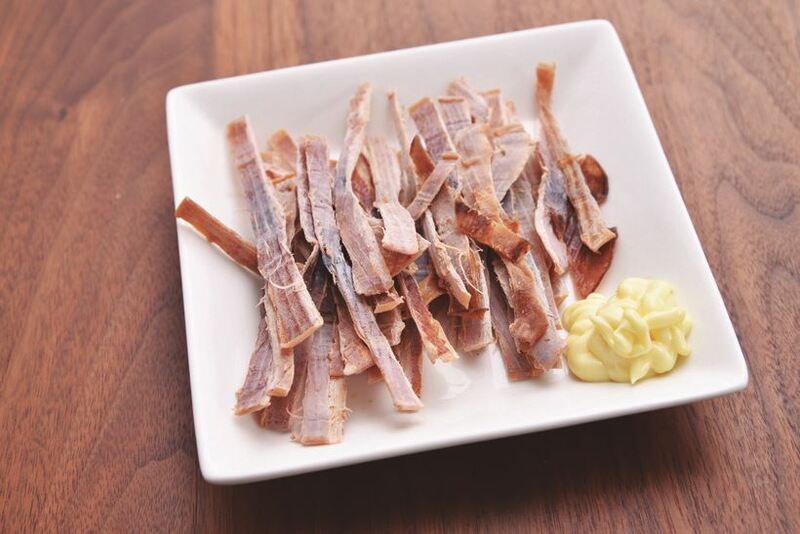 On a side note, the dried squid I usually buy is more shredded and has a lot of seasoning o.o Does this one have less flavor? I now require fanfic parody of Christmas Carol, where three ghosts visit Reika. I was thinking more along the lines of how Reika’s future is how she’d die Forever Alone and unloved. In my head, I pictured a bunch of diamonds just rolling around inside of the watch face. That’s what they do in the promotional vids. That was my thought too. Maybe if you wore this nasty thing ironically I could see it, but with those loose diamonds that would shake around like a miniature Terminator-esq rattlesnake on your arm? Ugh. What the heck that’s cooler than I thought it’d be . . .
Tanuki-papa, I’ll continue to cheer for your attempts in making Reika a father-con (though that will never happen, Onii-sama For The Win!) Fight on! As for the two Christmas cakes, I bet Reika would probably keep the cake from the Great Oni-sama for herself, and share the one Tanuki-papa bought with her friends. Reika-sama remember the Christmas Carol. Now I want to see ‘The Nightmare Before Christmas’ too. At least the dad didn’t try to climb down a chimney to surprise the family. There are enough cases of people getting stuck in chimneys during Christmas. Kisshouin probably lives somewhere that could genuinely count as an estate. So at least she’d *have* a chimney. I have a fakeass gas-burner too narrow for anything but a magic shape-shifting Santa. Poor Reika-sama, but at least she had a present exchange. Those cram student friends of hers are really growing on me, so I hope we can learn more about Sasaki-san and Kitazawa-kun. We already know too much about baka dog lover. Poor Reika. She’s rather aware of her singleness? Dears eyes practically glowed when I gave him Reikas Present, really this man has no clue whatsoever about our children, especially our daughter. Sighing inwardly I watched him sneak noisily into her room to place his gift, her indignant yell could be heard, sometimes when Reika looks at her father its with utter contempt, he may not look very handsome but he is a wonderful man! feeling saddened she patted Dears arm in comfort as he left her room looking dejected. Show some damn appreciation towards your father Reika! I have a truly strange daughter, I have no concerns for my son who is perfect in every way, but my daughter? she gives me a constant headache! it all began when she was a young child, the Reika I had raised was no where to be seen, instead a wild creature appeared, happily playing with her onii san in the water so carefree, baking her skin to an unacceptable shade, where had my delicate princess gone? I told her off repeatedly about staying out of the sun, but did she listen? not one word, instead she decides to play about in an undignified manner, who taught her to act so common! my mind scoured our employees, wondering if it was one of them that had done this to our princess, seriously why is she acting that way! It grew worse over time, she actually wanted to go to cram school? what? why? she is a dignified daughter of an influential family! she’s rich! why would she want to go mix with common people to study of all things! all you need Reika is beauty and power, which you have in abundance, why make it so hard on yourself with such aspirations! Its time to marry her off, she has to much time to play around, she needs to learn the ways of high society, but her brother intervened, why my son? what are you doing supporting such silly ideas! I had hoped with study her decline into strangeness would stop, but instead it grew worse! Strange sounds would emanate from her room, attempts at cooking that she would palm off on Dear, who looked rather ill from having sampled it, she even tried to give me some of her burnt offerings I just looked at her and she gave up, what do you think I am Reika? a Guinea pig? Poor Dear? are you alright? is she trying to poison you? It was obvious from how she gave the less burnt pieces to her beloved Onii sama who she favored the most, are we just discarded accessories to you Reika! She looked so beautiful on the outside, she was even good at hiding those strange flaws, by presenting herself to others like an elegant Ojou sama, but I knew the truth! I was fed up with her constant refusals to go out to parties designed to find a good match for her future husband, she was so good at avoiding them, and had managed to twist Dear around her little finger to keep me at bay! I decided to go into her room and snoop. What I discovered was a stash of money and sweets with the price tag still attached! so cheap! what the hell Reika! you have world class Chefs at your fingertips and you indulge in such rubbish like this! who has corrupted you! was it someone at that cram school! Thats it! no more! I will put my foot down! But hasnt she been putting on weight? she doesnt seem very happy about it either, well thats what you get for being a little glutton! and a cheap one at that! Doesnt Kaburagi group have a fasting program? couldnt I enroll us there? couldnt I drag her to these and finally introduce her more intimately to Madam Kaburagi? my scheming mind worked overtime, and finally I have my daughter where I want her! I decided to overlook those cheap treats that my daughter indulged in, in fact I ignored her weight gain on purpose, dont look at me like I am a terrible Mother! this is done with love! I picture Okaasama taking on more of a dignified tone and would use the kind of understated and vague language that hints at scandal without actually explicitly stating that it is scandalous — in the way that only the Japanese have perfected. Maybe with a lot of it bordering on denial and motherly post-hoc rationalizations. Like she’d spend a lot of time trying to explain away Reika’s incongruities while praising her good qualities, because after all, what loving mother doesn’t have a bit of a bias towards their children? So she can kind of dismiss Reika’s oddities about wanting to study as her being really smart and hardworking, which is true enough — even though she might be completely unaware of Reika’s ulterior motives. The tan could be dismissed as a childish indiscretion. That was a long time ago after all. Omg you definitely should! It’s always such a joy to be able to see what other people find interesting or amusing in Japan! And thanks for the chapter! Whole fleets of ships of all ages setting sail, while Reika’s left at port. I hope that she gets to spend New Year on the true route with Wakaba. and really reika should´ve go to mao´s party…sigh what is reika doing? Just wondering if Reika will be loveless until the end? Ah. Rei-chan cute as always. I wonder if there will come a time when a boy will realize that the elegant Reika-sama is actually the extremely cute Rei-chan. At least Reika got SOME type of a Christmas friend party. That heart plant is both an odd gift for a random exchange and kind of cool at the same time. Dang, a ring. Strides are being made, Sakura! Definitely photos, and thanks fir the chapter. Thanks for the chapter! Do it! I would love to see pics of your trip! Ah, Reika never ceases to entertain. Arima steamed as he stomped to the Student Council office. Once again, someone had pulled a nasty prank on his—on his Vice President. On Takamichi Wakaba. They just never learned. No matter how much he tried, no matter what efforts he made to bridge the gap that separated the students, they just never learned. And for what—jealousy? Pride? He tried to be kind. He tried to be understanding. But sometimes, his classmates really tested his patience. They didn’t even have the balls to stick around and accept the credit for their misdeeds. No, thought Arima grimly, it took hard work and a sleepless weekend to get those cravens’ names. The door to the Student Council office, was ajar. He had closed it at the end of the week, he knew he had. So why, why was the door ajar. His heart sinking into his stomach, the man stepped forward, and slowly opened the door to the office he shared with his fellow members of the Student Council. In that room was Yamamoto Mei, as expected—one of the three culprits behind the events of that past Saturday. Contrary to his expectations, though, she wasn’t going through Wakaba-san’s possessions, and she wasn’t trespassing—at least, not in the conventional sense. Instead, she was slumped in a chair, unconscious. In contrast to her usual attempts at elegance, she was dressed in an unflattering combination of grey sweatpants and a grey sweatshirt. Arima dashed out of the room, cursing. For on that sweatshirt, in an elegant hand, lay an ominous message. NOW I HAVE A FAN.